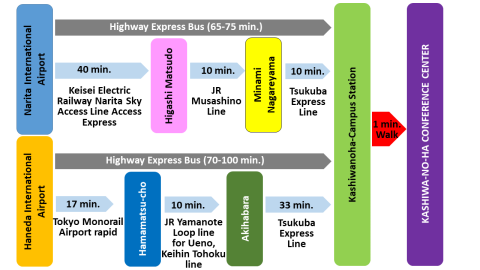 Highway Express bus is the easiest way to get from airport to venue (or Kashiwa-no-ha campus station). If the arrival time doesn't match with bus schedule, please use train. 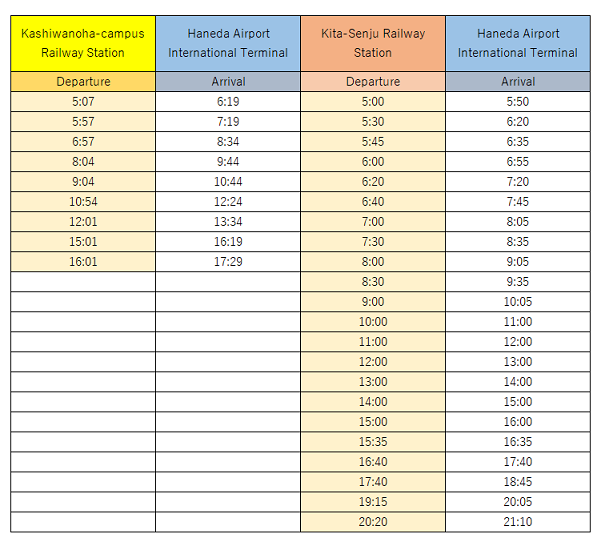 Ticket Sales Haneda Terminal 1 and 2, Arrival Lobby (1st Floor) automatic ticket machine or bus ticket counter. 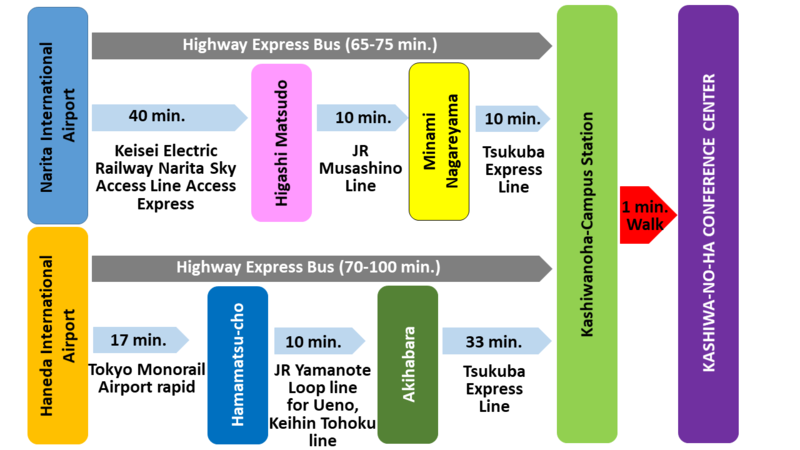 There are two routes to get to Kashiwanoha-campus as follows. 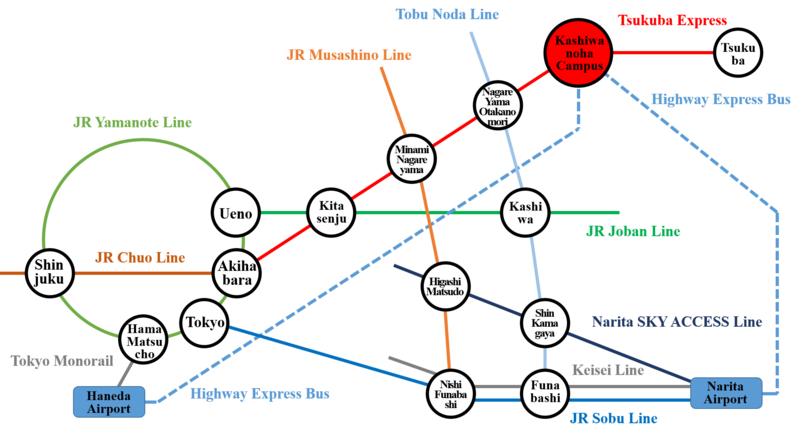 The closest station to the venue is Tsukuba Express "Kashiwa-no-ha campus" station. The venue is located near the station; only 1 min. walk away from the West Exit of "Kashiwa-no-ha Campus Station". 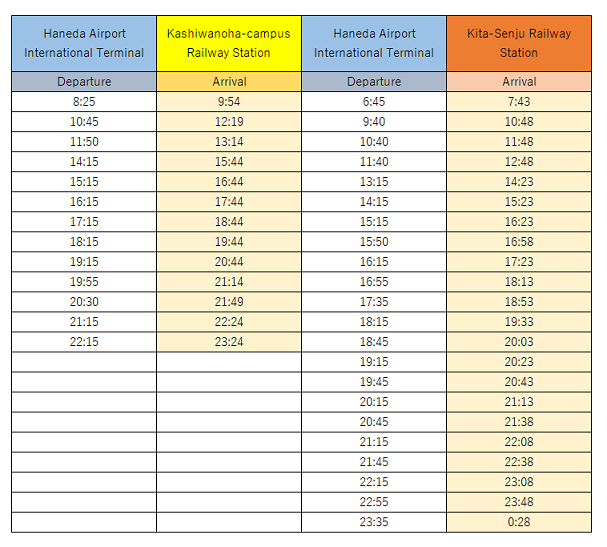 Japan Transit Planner helps you to search routes, fares and schedules of trains all over Japan.